One of the most influential concepts in manufacturing to come out of World War II was the practice of continual incremental improvement. This practice found sure footing in post-war Japan and became known as “kaizen,” which is the Japanese word for “improvement.” Although it originated in America during the war, it was really made famous by Japanese auto manufacturer Toyota. Rather than trying to drive large scale changes, organizations like Toyota found that it was far more effective to have individuals within an organization continually implement small changes in an effort to increase productivity and improve efficiency. While we here at MotoQuest are certainly not running an operation on the scale of Toyota, we do take this practice to heart as we are always looking for ways to improve what we do and how we do it. Take for instance our guided motorcycle adventures. After each trip comes to an end, we evaluate many factors and identify some areas for improvement. Most of these small changes go unnoticed and unheralded, and our primary goal is to create the best possible experiences for our riders. One example of a guided trip that recently benefitted from this process is our Wonders of the West Adventure. 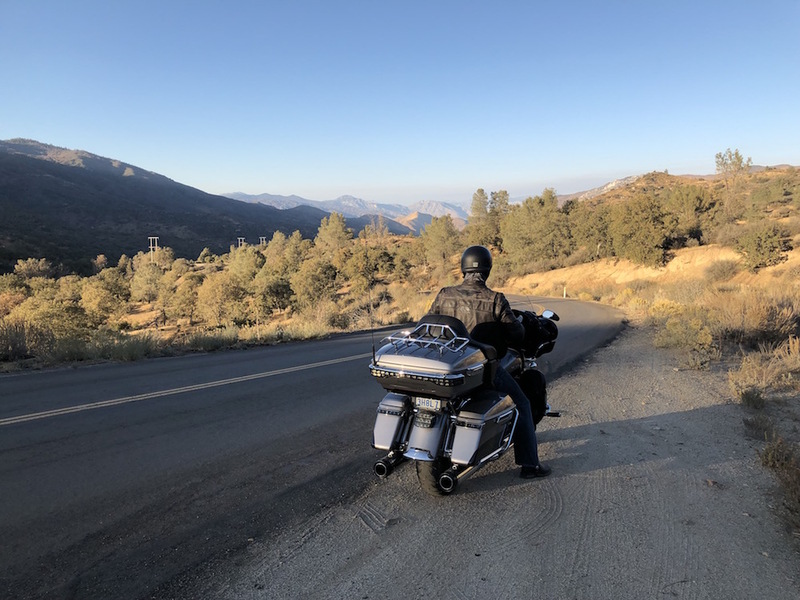 This has always been a great trip with highlights that include riding historic Route 66, gazing down over the rim of the Grand Canyon, riding below sea level in Death Valley, and navigating some of Southern California’s best backroads, but we were able to identify a few minor changes to take a great trip and make it spectacular! 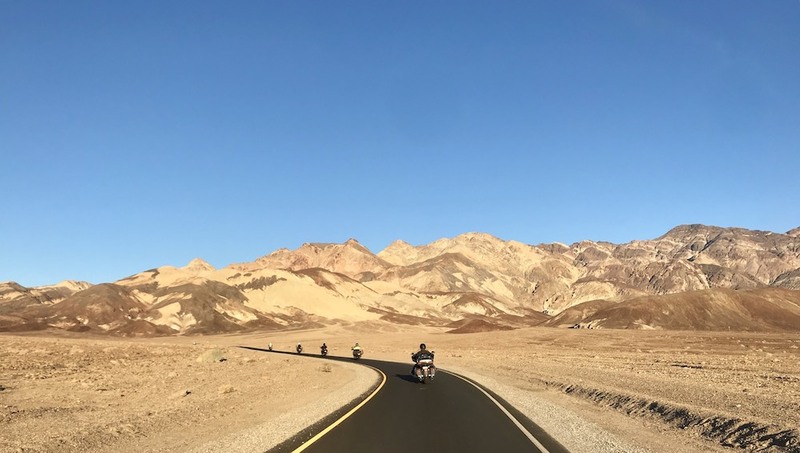 We invite you to join us on a virtual ride through the southwestern United States as we take a closer look at our Wonders of the West Adventure! 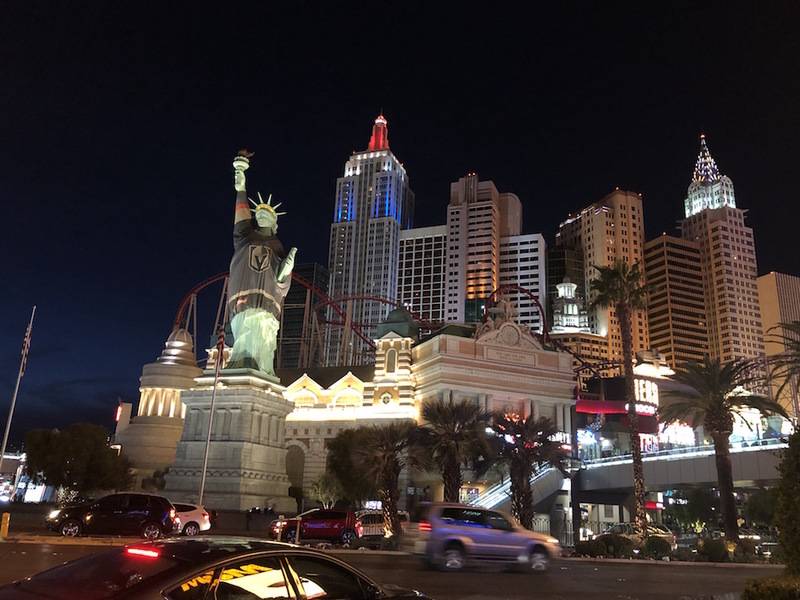 Sin City will be the start and finish line of this trip. This is in itself a destination for many folks around the world, and often riders fly in early to allow some time to see the sights. Arrival day revolves around handing over rental motorcycles to our riders, but some riders choose to bring their own bikes to cut costs. Once we get you set up with your motorcycle, we gather for our welcome dinner and get to know everyone in the group! Goodbye neon lights, hello open roads! We go check out the world famous Hoover Dam before heading south for Arizona. Here we ride some of the historic sections of Route 66, complete with the Americana roadside attractions of yesteryear. A stop in Oatman may have you feeding wild donkeys, or you can watch the wild west show in the street. 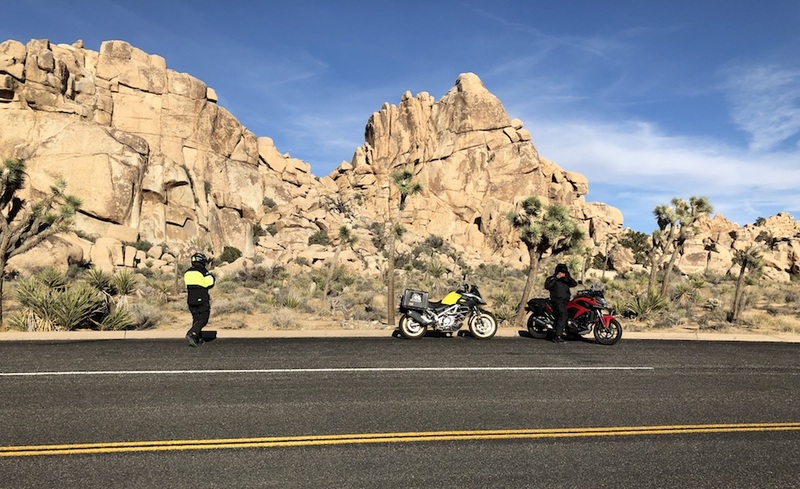 We finish the ride on a beautiful rock-lined highway before reaching Lake Havasu, our home for the night. Today’s itinerary features more desert riding, so it’s a good thing we scheduled this trip for October when the weather is perfect! And just when you thought the desert was beautiful enough, we get to Joshua Tree National Park. Like something out of a Dr. Seuss book, whimsical Joshua Trees dot the landscape as huge rock formations erupt from the desert floor. We stay the night in nearby Palm Desert. From stark deserts to idyllic mountain lake: all in a day’s ride in magical California! Enjoy some of the best twisties in the region as you make your way up the mountain to this charming resort town. If you thought yesterday’s ride was fun, just you wait! 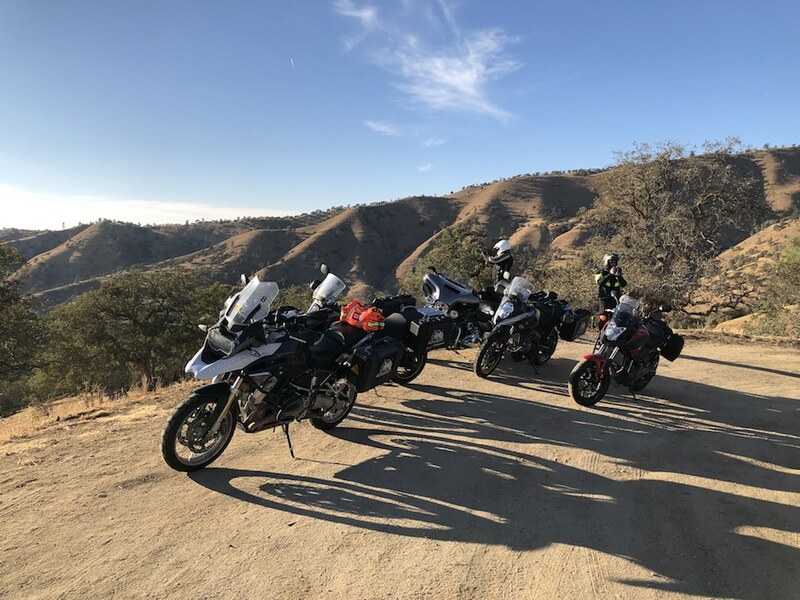 The ride from Lake Arrowhead to Kernville can best be described as epic, with roads like Angeles Crest Highway, Angeles Forest Highway, and Caliente Bodfish Road. And those are just the beginning of the fun! Stay in the small town of Kernville, an outdoor recreation haven. Another day of riding through the Southern Sierra Nevada? Yes please! Then it’s an afternoon cruise through the mind-boggling vastness of Death Valley National Park. 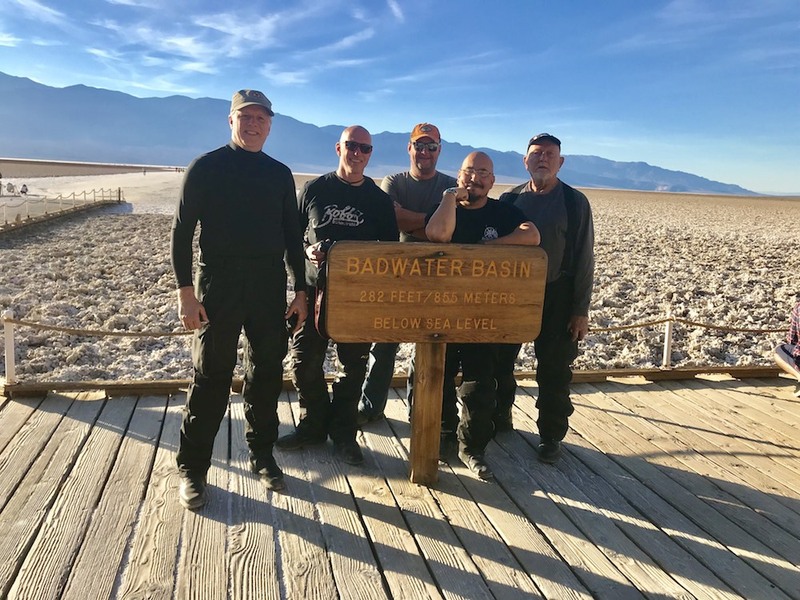 Ride to our photo-op at Badwater Basin, the lowest point of elevation in North America at 282 feet below sea level. Stay the night in nearby Furnace Creek, once again thankful that this trip is in October instead of July! Sadly, all great things must come to an end, but you’re in luck, because we saved some of the best for last! Start the day at a few Death Valley landmarks, like the Ubehebe Crater, before making our way back to Vegas for one more night on the town. We wrap up this journey with our farewell dinner, where memories from the week’s adventures are gleefully recounted forming friendships are solidified. 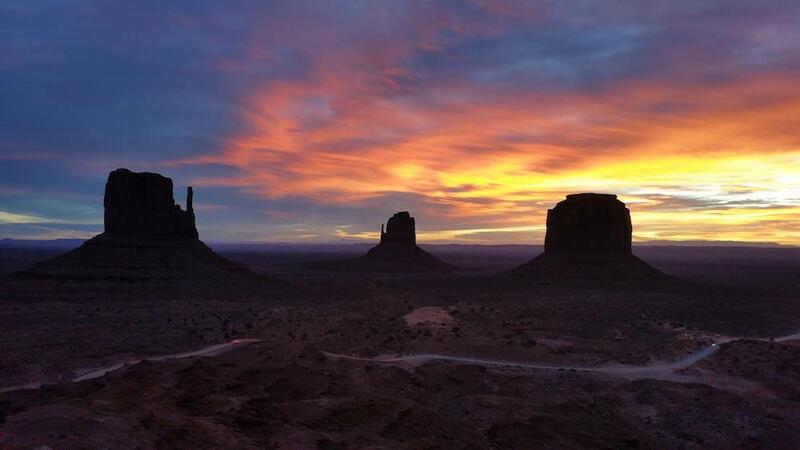 Day 8 – Fly Home, or get the Ultimate Southwest Experience! If you have to leave, we understand. But we’d like you to know that the ride doesn’t have to end here. 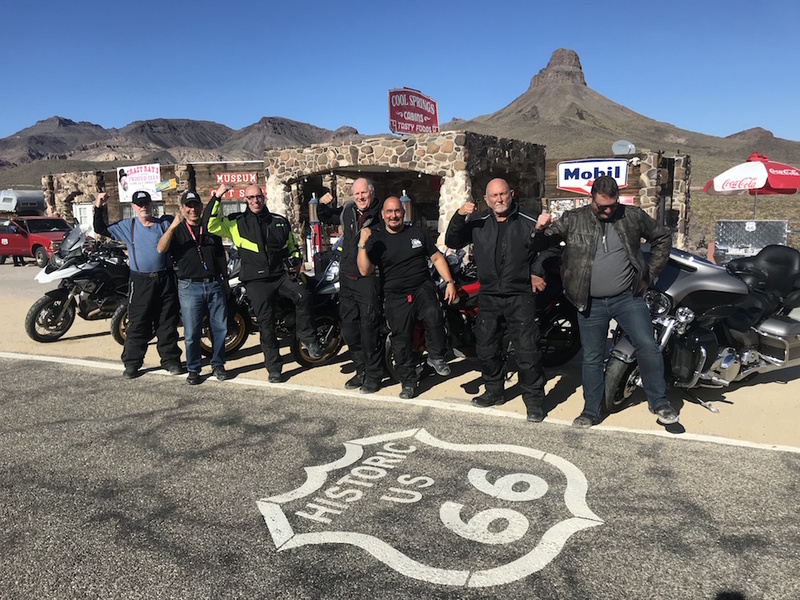 We have designed and scheduled this trip so that extra-enthusiastic riders like you can add on our American Southwest Adventure, which starts the day after Wonders of the West ends! 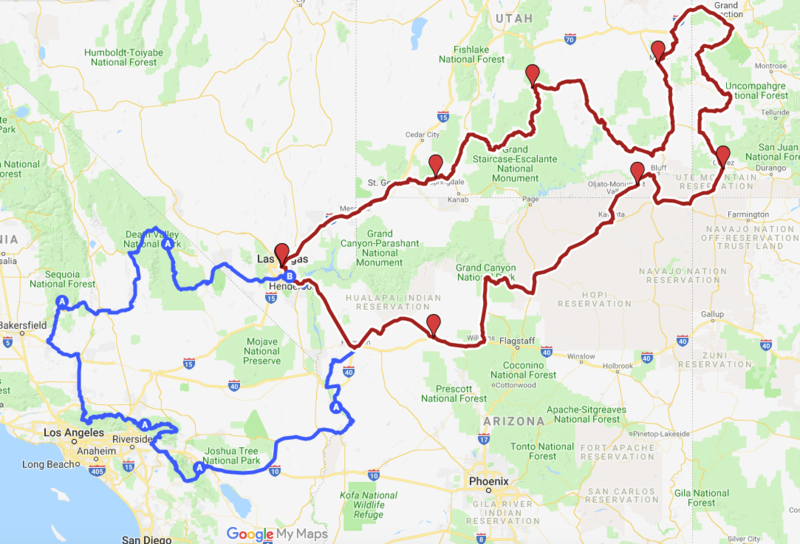 That’s another 8 days of riding through the incredible landscapes of northern Arizona, western Colorado, and southern Utah! This is the ultimate way to experience the Southwest, and to make things easier we will even pay $500 of your deposit if you book both adventures!